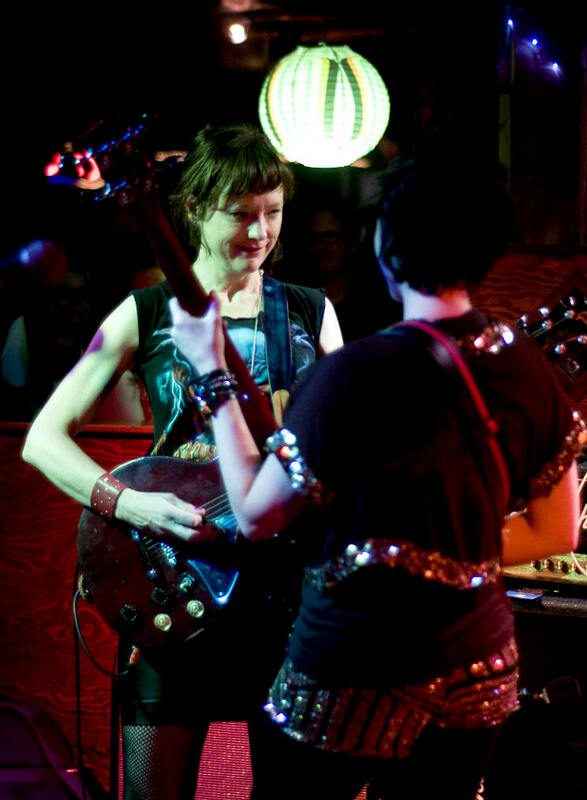 Washington, DC band Ex Hex — led by indie stalwart Mary Timony — are still a relatively new group, but they showed mastery of the power-pop form as they captured and held the rapt attention of the Broken City crowd. It was an hour of crowd-pleasing rock'n'roll as the band smashed their way through a series of cuts from their debut album that displayed their love of catchy guitar riffs and on-point vocal harmonies. Timony is an expert guitarist, and she got the crowd stoked on each extended guitar solo she pulled out of the bag. Likewise, the rest of Ex Hex more than held their own, trading off licks and solos with casual ease. They ended with a fiery performance of "Everywhere," with both Timony and bassist Betsy Wright locked in a pose as they launched dazzling, fun melodic solos at one another. It was an energetic sight to see from a band that have proven apt at delivering fun.